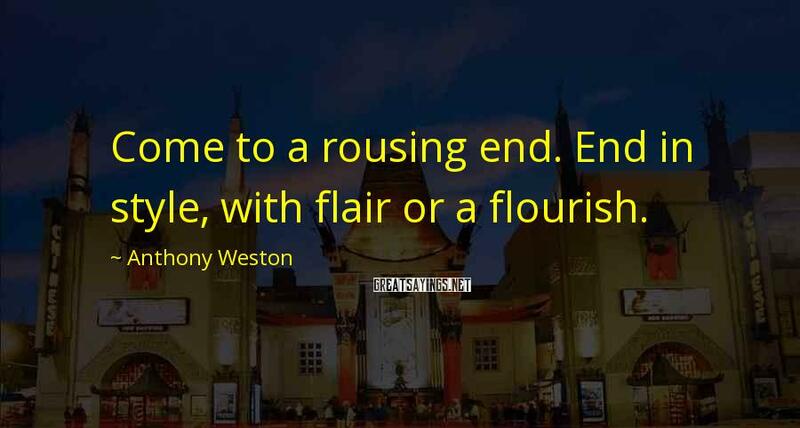 8 Anthony Weston Famous Sayings, Quotes and Quotation. 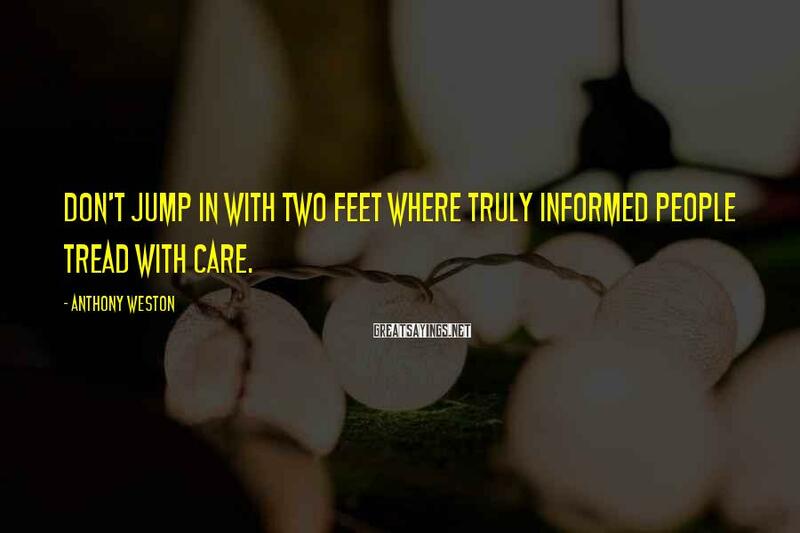 Don't jump in with two feet where truly informed people tread with care. Typically we learn to "argue" by assertion. 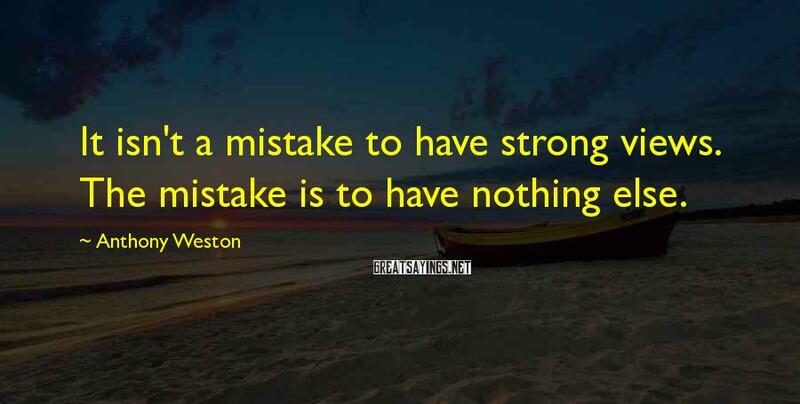 That is, we tend to start with our conclusions - our desires or opinions - without a whole lot to back them up. And it works, sometimes, at least when we're very young. What could be better? Real argument, by contrast, takes time and practice. 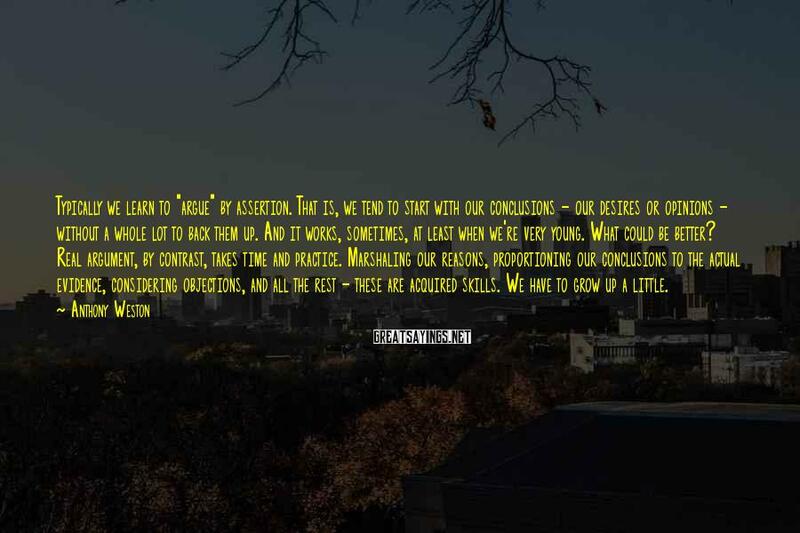 Marshaling our reasons, proportioning our conclusions to the actual evidence, considering objections, and all the rest - these are acquired skills. We have to grow up a little. Come to a rousing end. End in style, with flair or a flourish. 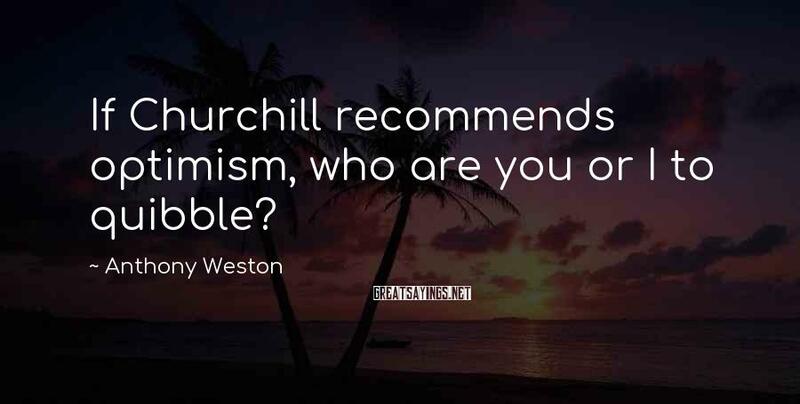 If Churchill recommends optimism, who are you or I to quibble? 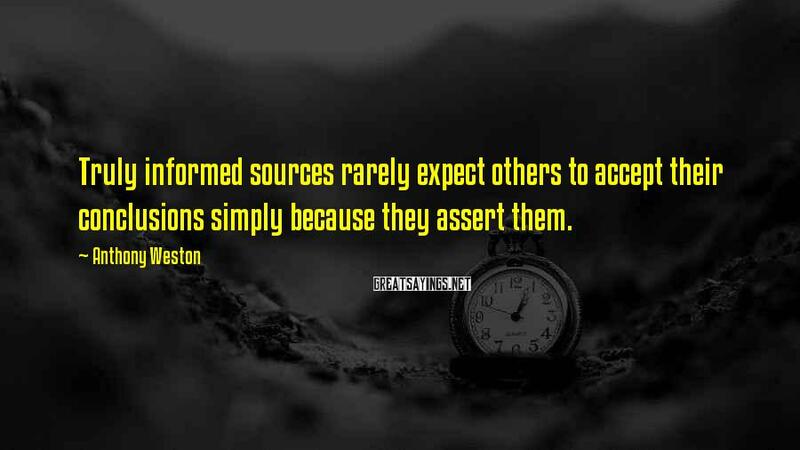 Truly informed sources rarely expect others to accept their conclusions simply because they assert them. 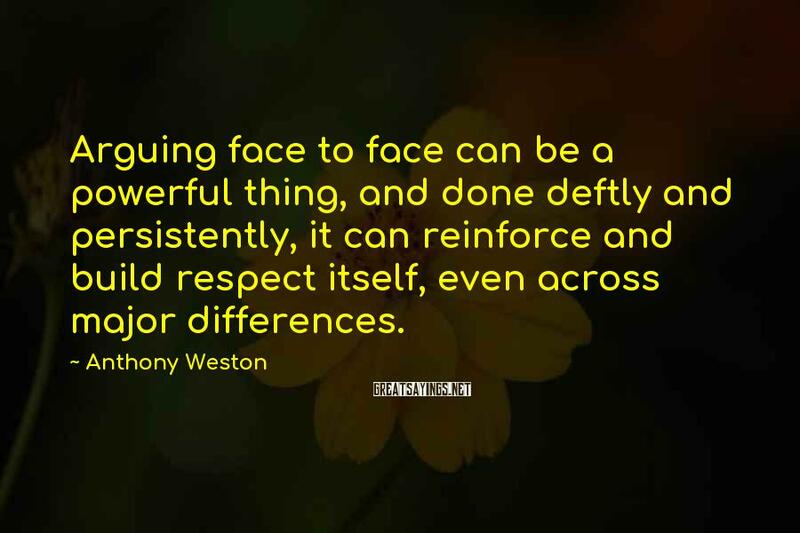 Arguing face to face can be a powerful thing, and done deftly and persistently, it can reinforce and build respect itself, even across major differences. 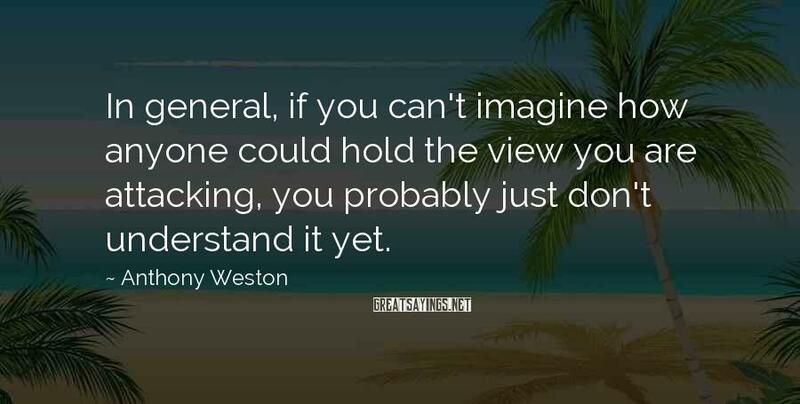 In general, if you can't imagine how anyone could hold the view you are attacking, you probably just don't understand it yet.